Dr. Timothy S. Martinez of Santee has been reappointed to the Dental Hygiene Committee of California, where he has served since 2012, Gov. Jerry Brown’s office said Tuesday. Martinez, 58, has been chief dental officer for the Borrego Community Health Foundation since 2017. The position does not require Senate confirmation, and the compensation is $100 per diem. Called the first regulatory body of its kind in the United States, the committee consists of nine members appointed by the governor — four public members, one practicing dentist and four dental hygienists. DHCC duties include issuing, reviewing and enforcing dental hygiene licenses as well as developing examinations. Additional functions include promulgating regulations, establishing and maintaining fees, oversight and approval of dental hygiene educational programs, and continuing education requirements for all dental hygiene licensure categories. 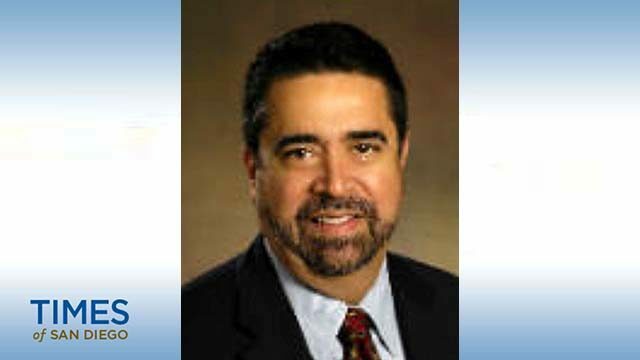 In an appointment statement, Brown said Martinez, a Democrat, was associate dean and clinical professor at the University of New England from 2015 to 2017, associate dean for the Western University of Health Sciences College of Dental Medicine from 2009 to 2015 and president of the Outer Cape Dental Center from 2003 to 2015. He also was program evaluator at the Forsyth Institute from 2010 to 2011 and state dental Medicaid director at the Massachusetts Executive Office of Health and Human Services from 2006 to 2009. Martinez was a dental consultant at the Massachusetts Department of Public Health, Office of Public Protection’s Board of Registration in Dentistry from 2005 to 2009 and owner at the Mid-Cape Dental Center from 2000 to 2005, said the governor’s office. He was dental director at the South End Community Health Center from 2000 to 2003, at Harbor Health Services Inc. from 1999 to 2003 and at Boston Healthcare for the Homeless from 1994 to 2003. Martinez is a member of National Network for Oral Health Access, American Dental Association, Hispanic Dental Association and Medicaid’s Children’s Health Insurance Program. Martinez earned a doctor of dental surgery degree from the Harvard School of Dental Medicine.